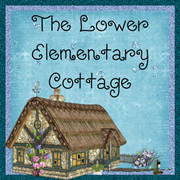 The Lower Elementary Cottage: Whole Brain Update and Intro to I Spy! 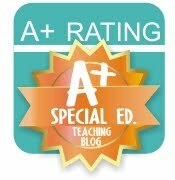 So my plan for this year was to fully implement Whole Brain Teaching into my classroom full time. I now see this was a very misguided, or rather naive thought. I established the rules, and the kids have gotten really good at "Mirror." The one huge problem is that I teach 3 things at once all day, and so not everyone is doing the same thing. I sadly, cannot implement it as well as I would in a single grade level class. I must say though, it is a HUGE success when I implement the strategies in my small groups. I have one boy who really benefits from WBT methods when we're working on letter and number writing. I've created a movement, a noise, and words to help describe what we're doing. It's sooo cute to watch him write talking to himself "Swoosh, swoosh" or "circle and a monkey tail" (letter g). We draw in the air before I have him write it on his page and he loves it! Oh Whole Brain... if only I didn't run a 3 ring circus for a classroom! Case and point: Today I was teaching my 1st/2nd graders to circle groups of tens and start learning place value 10's and 1's, my kinders were practicing counting objects to 5, all the while I was holding a kid who seemed to think he was Tigger and bouncing all around and poking people in the face. I held him, while helping the 2 groups learn completely different topics. Whole Brain...not really an option when I only have 1 free hand (sort of...). 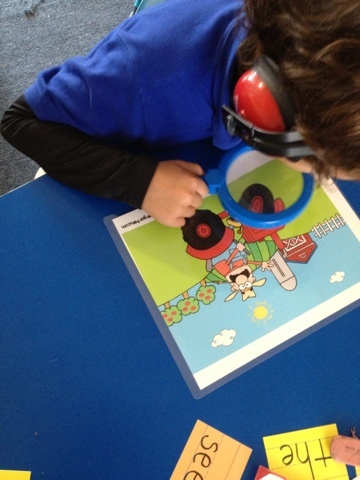 Ok, so more about I Spy, I found it over the summer and LOVED the idea! I bought 2 different bundles of them during the Back to School Sale on TPT. So I was waiting until my little guys got their feet wet with the alphabet stuff before giving it to them. They are getting pretty good at the letter identification, and are starting to learn the sounds, so I thought this would be great timing. I picked up big colorful magnifying glasses when I was at Morrison School Supply getting new tempera paint yesterday (somehow I forgot orange in October, how do I manage that?! Looks like I'll be mixing paint colors next week!). Anyway... the kids found the magnifying glasses within 2 minutes of getting in the classroom today and wanted to use them right away. It took great restraint to wait until centers time! 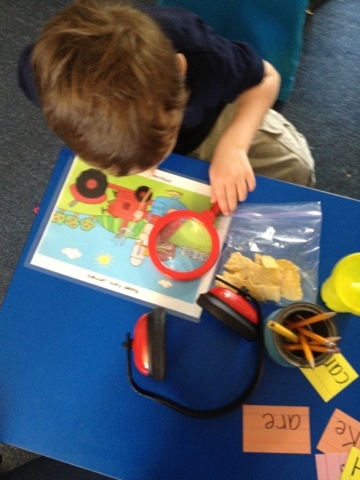 When I pulled out the I Spy on the Farm sheets they were instantly engaged once they figured out what to do! They loved it! It was also a nice informal assessment for when kids found a letter but could not name it, or named it incorrectly. There are writing responses to practice writing the letters they find, but I chose to just let them have fun with it for today. It was a nice introduction. I think I'll let 1st/2nd do the sight word ones tomorrow. They were really curious when they saw the kinders with the magnifying glasses and wanted to use them too. Take a look at the adorable pictures I snapped as they worked! They are getting so used to me taking pictures of their work! Note: the headphones are to block out the noise of the kid who kept screaming today... he had a rough day, but the other kids were sooo good about complimenting him in his good moments! Yay for teaching them to find the positive! !